This Lippa Dining table and chair set is the perfect solution to your dining seating needs! Perfect .. This Jux High Top Bar Table in Canary is a unique piece of modern furniture. Every piece of this hig.. Welcome an industrial vibe with the Alacrity Table Series. Streamline decor with tapered gunmetal gr.. The Vesuvius wood burning fire pit offers a heavy duty carbon steel structure designed for smaller s.. Stunning Counter to Bar Height Stool of Simple and Long-Lasting Design. The Gas System Allows the Us.. This Kanga Stool/Side Table in Moonglow is a unique piece of modern furniture. Every piece of this h.. The A&X Stafford - Open storage modern room divider is a great solution to partitioning a room w..
Soho Italian made King Size platform bed by YumanMod with an attractive Wenge Wood Finish bed frame .. Looking for affordable modern furniture like the Brahma Mirror Clear Edge? This Stylish Decor Mirror..
Our modern furniture item Nessie LED Table Lamp in Hot Pink, can be used for your modern home. These..
Elevate your home with the streamlined, chic cutout profile of the Concur Sofa. Upholstered in soft,.. The Fresca Oxford Tall Bathroom Linen Cabinet is not only a perfect addition to any Fresca Oxford va..
Update your decor with the Centehua Distressed Southwestern Aztec Area Rug. Patterned with a vibrant.. Enjoy your patio or backyard leisure time with the strong and durable Shore Outdoor Aluminum Dining .. This Jux Dining Table in Lily Pad is a unique piece of modern furniture. The modern Jux Dining Table.. Looking for affordable modern furniture like the Glider Conference Chair Black? This Stylish Indoor .. This table has a solid steel frame and top in a polished galvanized steel finish. Speci..
Further your sensibilities with Serve. Elegantly inset with a centered line of tufted and fine polye.. Escape to a place of relaxation with the Landscape Outdoor Patio Hanging Chaise Lounge Swing Chair. .. Relax together with Rendezvous. Celebrate seating for two with a bedroom or living room piece made w..
Sophisticated and Romantic, the Bellevue Dining table offers a warm distressed natural finish and is..
Collage dining table feature a rectangular top made from recycled teak wood pieces in a natural hone..
Dream wall lamp is the modern version of a classic design in either white or black. Each version has.. Lounge in ultimate comfort as the vintage style Father Lounge chair set features a cantaliever style..
Random yet harmonious, the Kihei's unique design yet functional shape can be used for seating or..
David Francis Furniture offers outdoor patio seating with an elegant yet beachy style ..
David Francis Furniture offers indoor and outdoor patio seating with an elegant coastal living s..
David Francis Furniture offers outdoor patio seating with an elegant coastal living st..
Urban-loft meet elegant farmhouse in the Omaha dining table; a the rich dark distressed cherry oak f..
A tried and true design that's not going outta style, the Rustic Traditional Forged Steel Pull w.. The Zen Interior Barn Door Hardware Kit in Oil Rubbed Bronze features an antiqued brushed bronze fin.. The Zen Modern Stainless Steel Barn Door Hardware features a contemporary sliding door hardware desi..
A tried and true design that's not going outta style, the Classic Modern Stainless Steel Top Mou.. The Modern Stainless Steel Barn Door Hardware - Small Wheel features a classic hardware design that .. 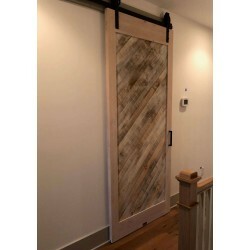 The Rustic Interior Barn Door Hardware - Small Wheel features a classic hardware design that truly s..
A tried and true design that's not going outta style, the Classic Top Mount Sliding Barn Door Ha..
Sturdy and bold, Ferris Wheel Sliding Barn Door Hardware kit features 2 jumbo sized door rollers mea.. Inspired after the many Natural Florida Springs, Studio 9 Furniture features custom cut to order Flo..
Time for a change? Remodeling on the mind, or just looking for a unique furniture piece that makes an unforgettable statement? Peruse a while through our online furniture store, you may just find the perfect solution. Interior design is very malleable. That’s the great part. Distressed wood furniture, Lucite furniture, high gloss finishes, your home is your canvas. Premium furniture of high quality and expressive style is what we offer. Search by room, furniture piece or by collections. We offer modern furniture brands that pride themselves for the excellent quality and style of premium furniture they offer. Customizable home furnishings is an area we are building. Dogberry Collections is our first addition in this area. Individually made to your personal style, stain, paint and size are your choice.